Sometimes it seems like the whole notion of environmental and public health protection is under assault in Washington, D.C. The EPA and other agencies have leaders who were specifically appointed to dismantle and reverse environmental protections. But that won’t happen on our watch. CFE/Save the Sound has a dedicated legal team fielding a full legal docket of federal and state cases to protect the waters, land, and air of Connecticut and the Long Island Sound region. We are winning our cases and don’t intend to stop until the Sound and its rivers are clean and protected. Here are some active and recent cases. 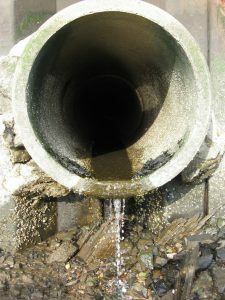 The sewer lines that run under streets and lawns in Westchester County shoreline municipalities have been leaking raw sewage into waterways for decades, causing low oxygen, high bacteria levels, and long-term harm to Long Island Sound. So Save the Sound brought a federal court action against the County and 11 municipalities to stop it. Read our complaint here. In summer 2017, we reached settlements with the Villages of Mamaroneck and Port Chester to repair their systems to stop the overflows by 2019. The County of Westchester and nine other municipalities have not agreed to fix their systems in a timely manner, so our lawsuits are still pending against them. While we hope to settle the matter cooperatively, we will litigate if necessary to finally stop these raw sewage discharges. Despite the fact that EPA staff acknowledged that New York City’s current water quality standards don’t adequately protect New Yorkers seeking to swim, boat and fish, EPA has failed to change them as required by the Clean Water Act. On June 29, 2017, we initiated federal Clean Water Act lawsuit against EPA Administrator Scott Pruitt in federal court in Manhattan to demand health-based water quality standards to address raw sewage being discharged into New York City waterways. EPA moved for a stay and we objected, arguing that the case should be heard and decided in a timely manner. The judge agreed. You can find the legal filing here, and read more about the complaint in the Queens Chronicle. In 2016 CFE/Save the Sound, along with Rivers Alliance of Connecticut and Friends of the Lake Inc., brought suit against Danbury after discovering that raw and partially treated sewage had been discharged into Limekiln Brook and the Still River repeatedly over five years, eventually dumping into Long Island Sound. We discovered the violations through a long and resource-intensive investigation of public records. When the EPA and DEEP did not act, CFE and our partners used the citizen suit provisions of the federal law to bring this Clean Water Act enforcement suit. A proposed consent decree for the City of Danbury has been signed by Danbury and CFE/Save the Sound and approved by the U.S. Department of Justice and EPA. It requires Danbury to (1) pay a $100,000 civil penalty, (2) properly operate and maintain its sewage collection system to stop the overflows, and (3) pay the costs of litigation. Read about the settlement in the Danbury News-Times. The Fairfield Department of Public Works’ aggregate pile was polluted with PCBs disposed of illegally by a contractor working for the town. The aggregate pile, which was placed over the town’s former landfill, is adjacent to wetlands, Pine Creek, and Long Island Sound in the area of Fairfield Beach. CFE attorneys have worked to ensure the pollution is properly remediated and that future operations are conducted in a manner protective of this unique and environmentally sensitive area. We have been active in overseeing and watchdogging Fairfield’s remediation of the PCBs and reduction of the stockpiled materials at its landfill and are working with our engineers to ensure that a vegetative berm the town is installing to serve as a buffer between the Public Works Yard and the estuary will be properly engineered to accomplish these purposes and enhance the environment in this area.